Hank Locklin (born Lawrence Hankins Locklin, February 15, 1918, in McLellan, Florida, died March 8, 2009, Brewton, Alabama) was an American country music singer-songwriter. Born in the Florida Panhandle, he was one of country music's Honky Tonk singers. 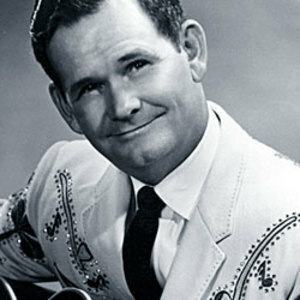 A member of the Grand Ole Opry, Locklin's biggest hits include "Send Me the Pillow That You Dream On", "Geisha Girl", and "Please Help Me I'm Falling", which went to No. 8 on the Billboard Hot 100 pop music chart. Billboard Magazine's 100th Anniversary issue also listed it as the second most successful country single of the Rock and Roll era. Born in the Florida Panhandle, he was one of country music's Honky Tonk singers. A member of the Grand Ole Opry, Locklin's biggest hits include "Send Me the Pillow That You Dream On", "Geisha Girl", and "Please Help Me I'm Falling", which went to No. 8 on the Billboard Hot 100 pop music chart. Billboard Magazine's 100th Anniversary issue also listed it as the second most successful country single of the Rock and Roll era.